As promised, I'll be blogging about what went on behind the scenes during the Cleo Sunsilk photo shoot! 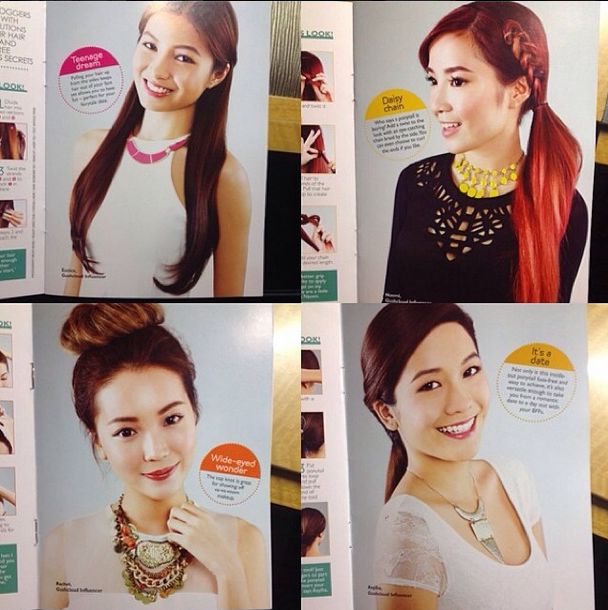 In case you don't already know, a few Gushcloud bloggers and I were selected to be featured in a mini Sunsilk booklet that comes with every purchase of February 2014 CLEO magazine issue. 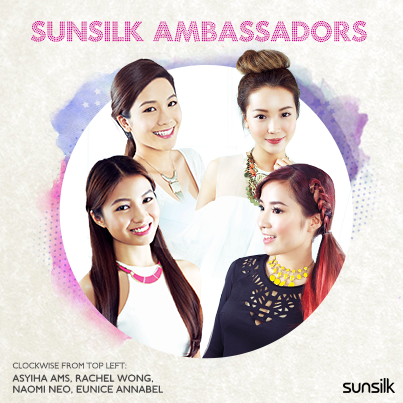 To me, Sunsilk is a hair care brand that emphasizes a lot on healthy and youthful hair. Most often, you'd find that the models in their ads are always cheerful and smiling broadly. This helped me in preparing myself for this shoot. I've already done one for Sunsilk in NYC, so I kinda already knew what was expected of me. My slot was at 10am if I'm not wrong. And I am always happy to be one of the first few, in fact, the earlier the better because whenever you go for filming or photo shoots, you're required to come without any make up. And I'm not very confident with the thought of walking out of my house without any make up on. But if it is in the wee hours of the morning, that problem would be fixed in an instant because there simply just aren't many people around. The moment I got on set, I headed straight for make up. hahaha. I was so honored to have my make up done by renown makeup artist , Larry Yeo. He has done tons of professional models' makeup before, he've worked with numerous big cosmetic brands like Laneige, Estee Lauder, Lancome and many MANY more! So I knew I was in REALLY good hands. Oh yes! Besides the photo shoot, we were also required to do a video shoot which was extremely fun. It required us to act and memorize the script. Which worked my brain a little more and I like doing vlogs anyway, so I felt nice and comfortable in front of the camera. Everyone of us were representing different colors of the Sunsilk range. And I was so happy to be appointed with the pink bottles which is "Smooth & Manageable" range. As you all know, I LOVE PINK. So being able to get dressed in it was a pleasure. hehehe. Here are the five different ranges of Sunsilk products. From left to right: Nourishing Soft & Smooth (yellow), Smooth & Manageable (pink), Damage Reconstruction (orange), Hair Fall Solution (gold) and Perfect Straight (purple). And it was time to get my hair ready for the shoot! This is always my favorite part of any photo shoots because I love the feeling of someone touching and tugging my hair. I know it sounds weird and kinda painful? But I love it. I feel like it's some sort of massage and my tolerance for pain is really high anyway, so no amount of pulling of my hair would make me uncomfortable at all. With my darling manager Audrey :) She's so gorgeous, she should be modeling for this shoot too don't you think? hehehe. I have to thank her for taking the initiative with helping me take all these behind the scenes pictures. Without her, there probably wouldn't be this post at all. And I have to say, Audrey has really good skills taking these pictures, don't you think? Okay, I gotta go! I have tons of homework to do and it's time for me to hit the gym later cause I've honestly been slacking off, eating lots of chocolate and junk food. Need to get my body ready for CNY so that I can eat EVEN MORE food then. hehehe. Thank you for reading once again! :) Have a great weekend!